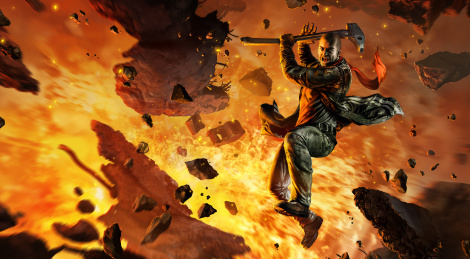 THQ Nordic revealed Red Faction Guerrilla Re-Mars-tered, coming this year for consoles and PC. This new edition will feature reworked graphics and textures, improved lighting and shadow rendering as well as native 4K support. Screenshots inside. Started it and played for about 6-8 hours, but never went back to it. Still, I remember it being fun. This gives me an excuse to go back and, hopefully, finish it this time around. Just wish they had included Armageddon as well. What's remastered about it? Looks the same as original PC version to me. Is this one of those upscale "remasters" for new gen consoles specifically and for PC collaterally? Maybe my memory of the game is not as clear to see any improvements, side-by-side comparisons are needed to see if it's worth it. I doubt they'll upgrade the Steam ver. for free. I doubt they'll upgrade the Steam ver. for free. 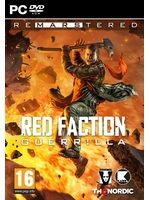 I remember this game being ok. Not as good as the first red faction. But ok for an open world colectathon title. Had pretty good destruction too, even if it was a little "lego-like". The sequel to it was awful though. It almost completely stripped away the destruction which just revealed the game as being a generic third person shooter. Huh. Cool. Never got around to playing these. LOVED this game. Would definitely play again. KORNdog you are right about the follow-up title. I was so disappointed in it. Armageddon was a awesome albeit short Descent game, with some linear TPS crappy game attached. Also what does "4k native support" even mean? The game already allows you to set resolution to 3840x2160 without additional tweaks. Truly this is but a marketing buzzword. Decent game. MP was kinda fun with this destruction, but nat many people played it.